My name is Glenn, owner of Devon’s Electronic Repair Workshop and Field Service Repair. I am an Electronic Engineer with over 30 years experience in fault finding and repairing electrical items. 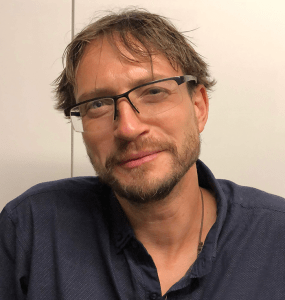 I specialise in fixing audio, lighting and vintage electrical equipment and am happy to undertake any complex repairs for any other work-based electrical items not in the above categories. 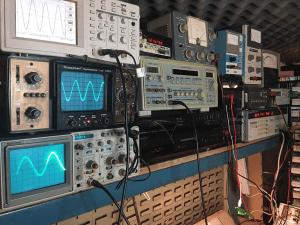 My workshop, established in 2006, located in Dawlish, Devon has all the available tools and equipment needed to diagnose and fix a wide variety of electronic equipment. I am usually open from 11am to 6pm Monday to Friday although I do leave my workshop to attend on-site field repairs, Please give me a call before you come to make sure I am open, If you arrive and I am not available please give me a call on 07749 020759 as I may well be close by. Have you heard of repair cafes? They were originally set up in the Netherlands in 2009 with the aim of helping people fix items for free to avoid waste and to build a sense of community. Currently there are 6 repair cafes in Devon with more planned in the coming year and there are over 1619 across the world, in 33 countries. 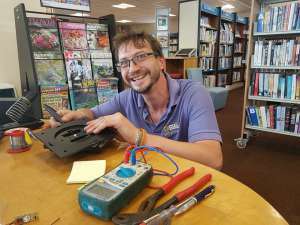 I regularly attend the Repair Cafe’s which is a Devon County Council led initiative to repair any broken electronic items destined for landfill. Look out for news in your area from Devon County Council and I will attempt any electrical repair onsite at no cost. Planned obsolescence, or built-in obsolescence, in industrial design and economics is a policy of planning or designing a product with an artificially limited useful life, so it will become obsolete (that is, unfashionable or no longer functional) after a certain period of time. The rationale behind the strategy is to generate long-term sales volume by reducing the time between repeat purchases (referred to as “shortening the replacement cycle”). GT Electronics ethos is the exact opposite, saving your electronic items from landfill. Here is me talking about Planned obsolescence on BBC Spotlight (1.55 mins in) at one of my regularly attended Repair Cafes.